Happy New Year, wonderful readers! I hope you all had a wonderful holiday and your 2016 is off to a great start! I have really enjoyed these last few weeks off of regular blogging, but I am definitely feeling rejuvenated and ready to get back to it. 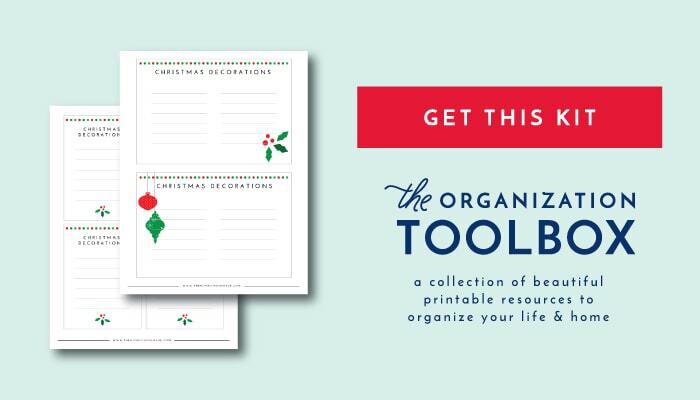 While I may not have been in much of a mood for holiday decorating this last month, I AM so in the mood for organizing and I have so many fun and easy organization solutions coming at you in the coming weeks! 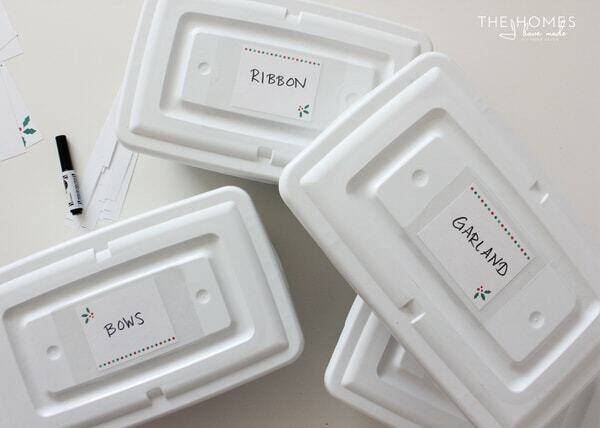 We’re jumping in today with how I sorted, stored and labeled our Christmas decorations. 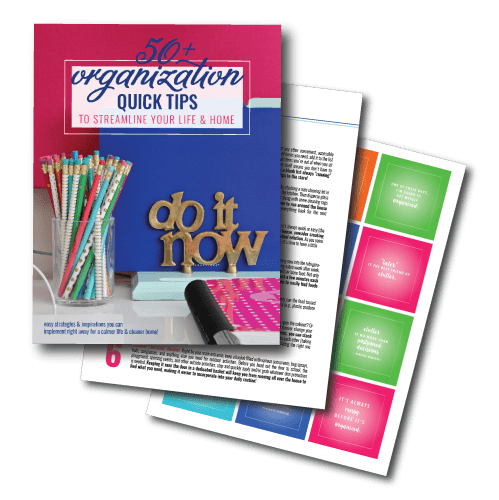 I’ve got some great tips as well as a downloadable printable for you…so let’s get to it! Every year I say “I’m going to go through and organize all of our holiday decorations.” Yet every year, at least for the last few, I’ve gone so over-the-top with decorating that by the time it comes to organize it and pack it all away…I just want it gone and out of my sight. As a result, everything gets thrown in random boxes with no order or logic…which makes for LOTS of wasted space and damaged items. And even worse, pulling everything out the following year becomes a total headache. Anyone with me on this one? Well! 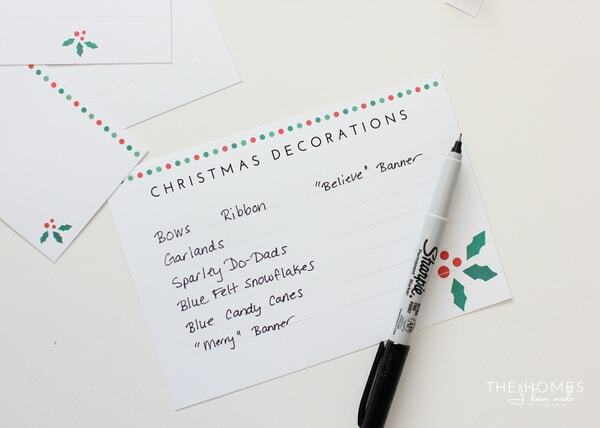 Since I didn’t pull out a lot of holiday decor this year, I actually had the energy and willingness to FINALLY go through, sort, purge, re-organize and label our holiday decorations. 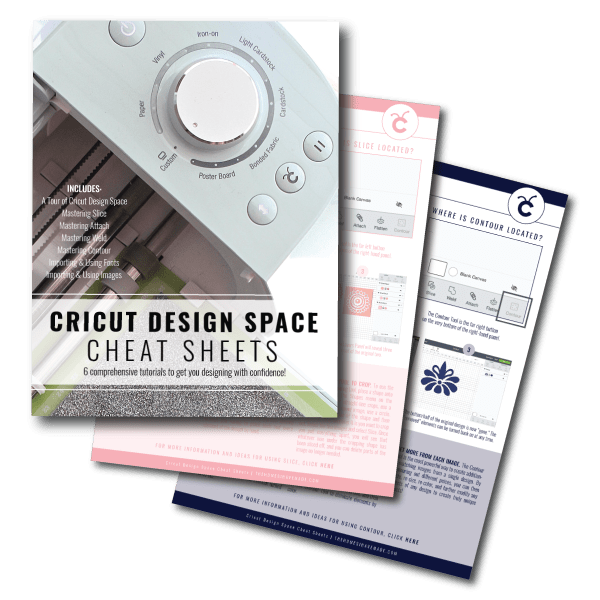 I am so giddy to finally have this project done, and I hope you guys might be able to use some of my solutions too! This past holiday I tried to just pull out a few things. 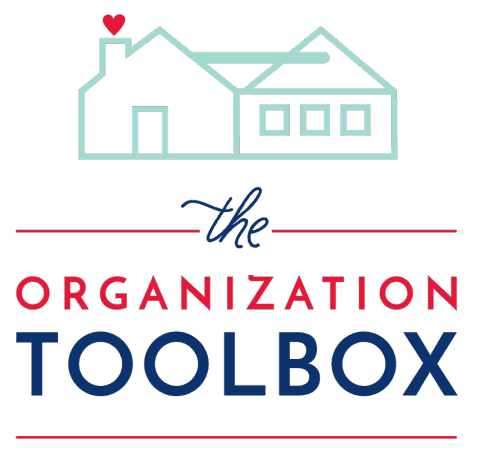 But since I didn’t know where anything was, it meant I had to unpack most of our bins, leaving me incredibly frustrated with the mess and clutter left behind. I knew some sort of labeling system was in order so I set out to make some that gave me a lot of versatility! 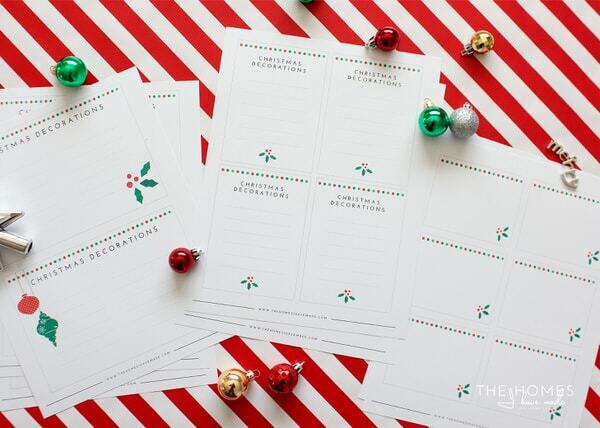 All three sizes of labels are available in two different color schemes: classic and modern. 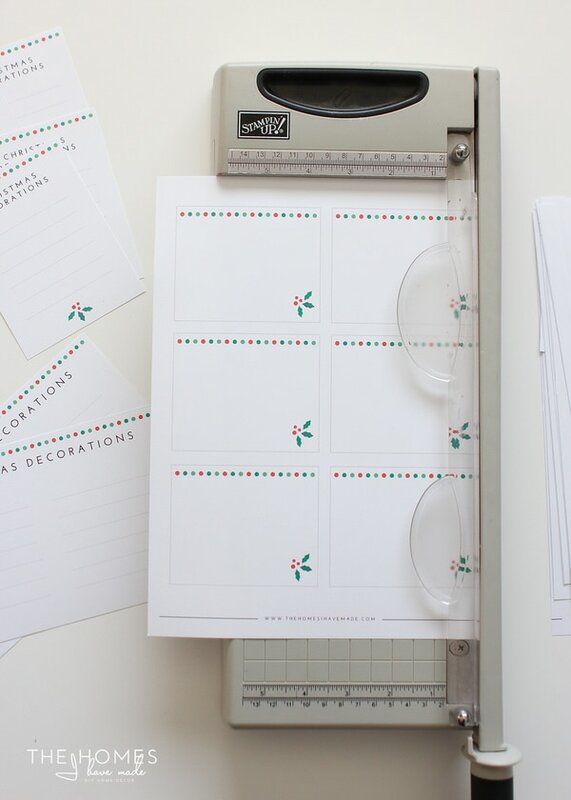 Now that you have your labels ready, I want to share a few solutions that worked really, really well for getting storing our decor in ways that maximize space but also make finding things super easy! Instead of having large bins just stuffed with stuff, I pulled out a bunch of plastic shoe boxes (for some reason I have a ton of them, I am pretty sure they were from the Dollar Store). 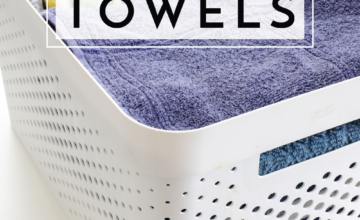 They were the ideal size for storing things like bows, ribbon, supplies, ornaments and more! Even though the boxes are see-through, I label the tops so I could easily see what each one was once they were loaded into bigger bins. 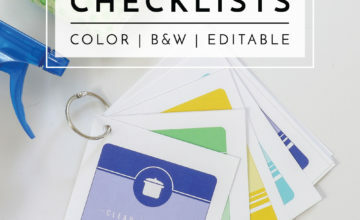 For all of my labels, I just secured my cardstock tags right to the containers or lids with clear packaging tape! For the past 5 years, I’ve had our ornaments stored in large containers with tiers of dedicated grid spots . 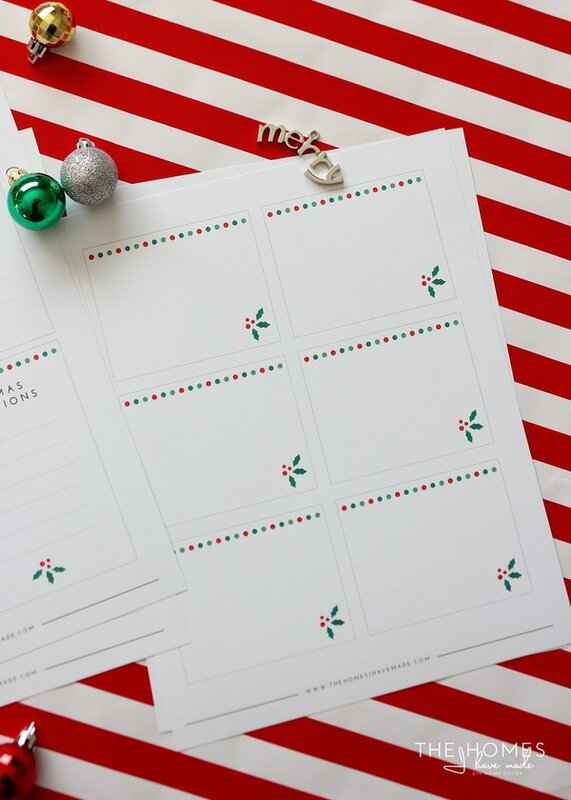 You know the type: a single space for a single ornament. As I unpacked the ornaments this year, I realized there was a ton of wasted space, causing our ornaments to take up a big large box when it really wasn’t necessary. I decided to split out our colored ball ornaments (more on that in a minute) and wrap up our unique ornaments with tissue paper. 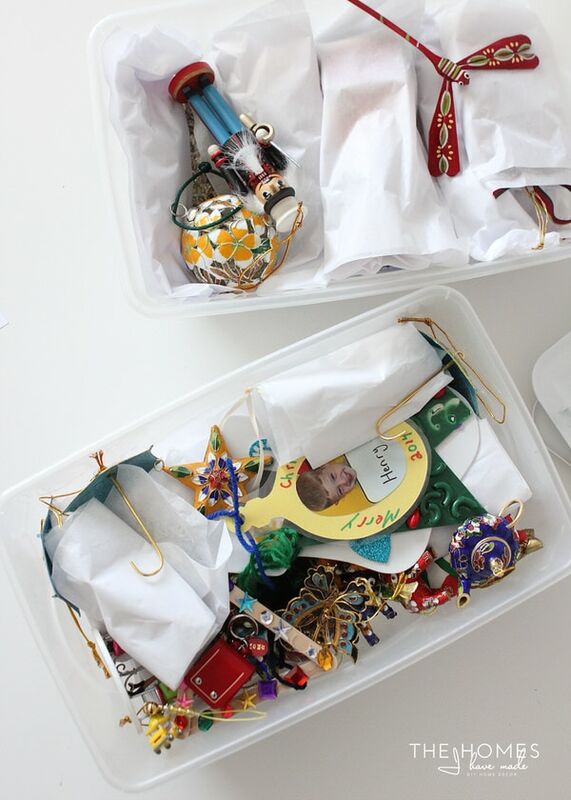 Thanks to this strategy, I was able to condense our ornaments down to two small shoe boxes rather than a large box. Over the years, we’ve also accumulated a nice assortment of mini ornaments. Not only do we set up a mini tree in Henry’s room, but I like to keep the little ones on hand for projects and smaller displays. So they wouldn’t get lost among a sea of larger ornaments, I picked up this small tiered case . The size and levels are just perfect for sorting out some of our smaller tree accessories, and I love that these mini ornaments are now a bit more protected. The third tier holds extra bulbs for our light strings. 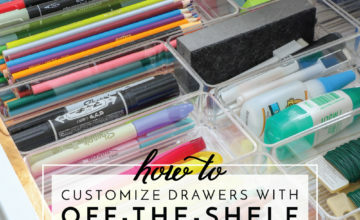 Like with how I organize our house, this project was all about finding just the right containers to hold each type of item. When possible, I tried not to combine un-like objects so that I could pull out items (or groups of items) when I wanted/needed them. 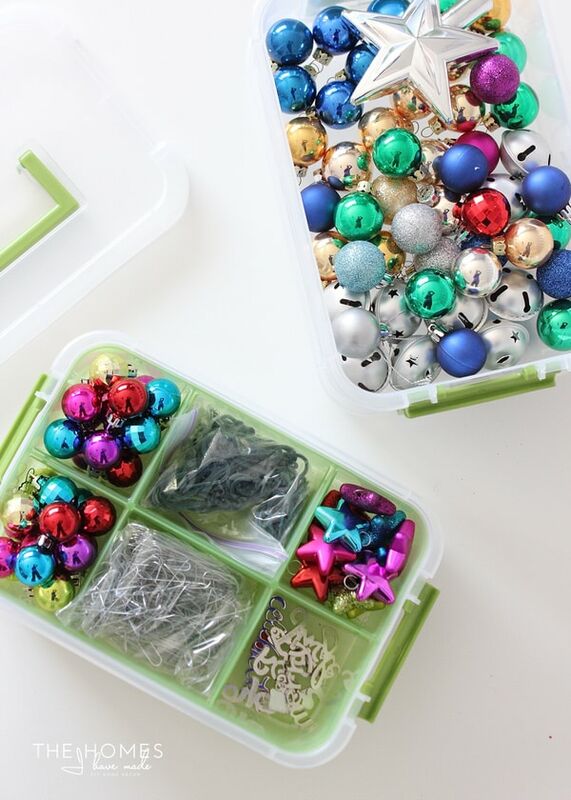 Just like the ornaments, ribbons and other items above, I loaded our ornament magnets into a small yet sturdy cardboard box. It too is clearly labeled so I can find them easily when I go looking for them next year! 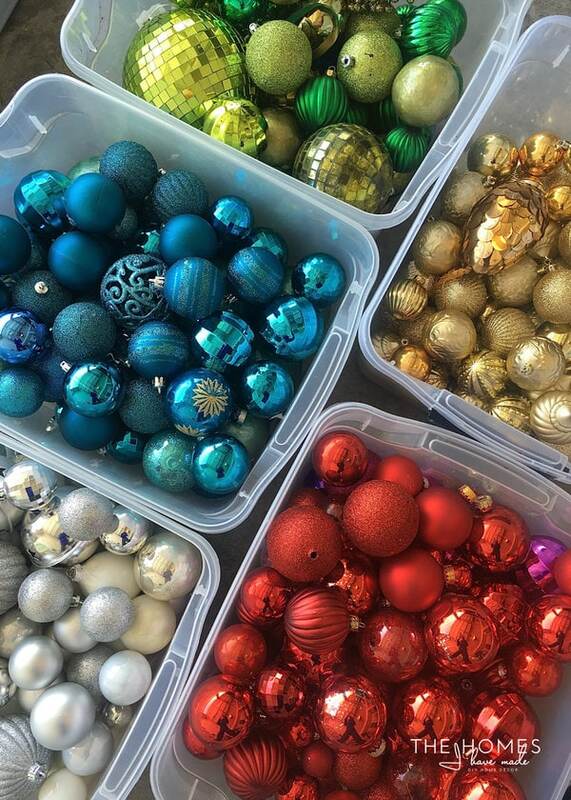 All of these small boxes were loaded into the larger containers we previously used for our ornaments. We removed the tiered cardboard shelves and loaded in all these smaller boxes. I then filled out the labels with all the different kits/sets contained within. 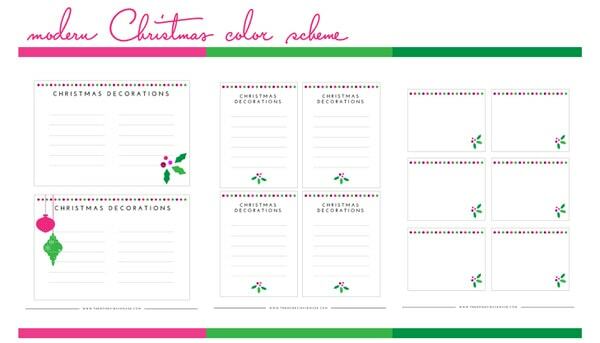 Now pulling out just the ribbon is easier than ever! 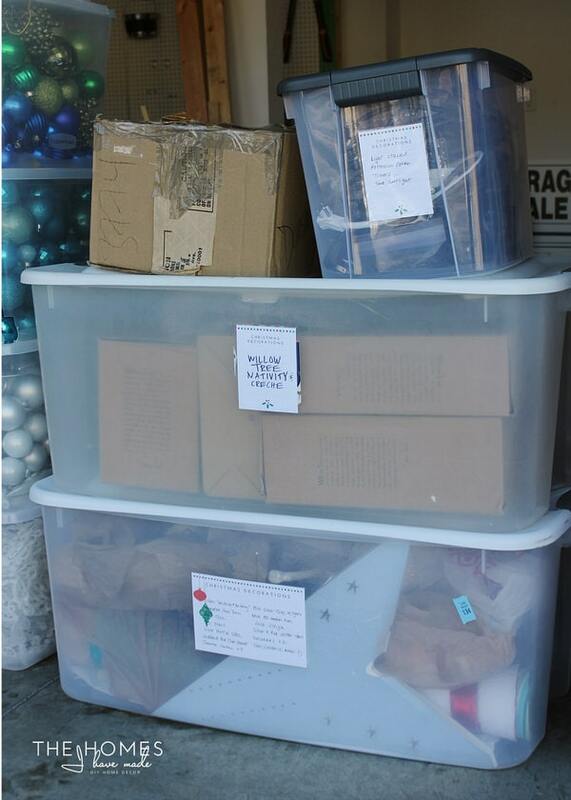 I was able to condense a lot of our holiday decor down into these three boxes that are all loosly categorized. The top box contains mostly soft things (stockings, tree skirts, table runners, etc). The second box is all of the ornament kits I just showed you. 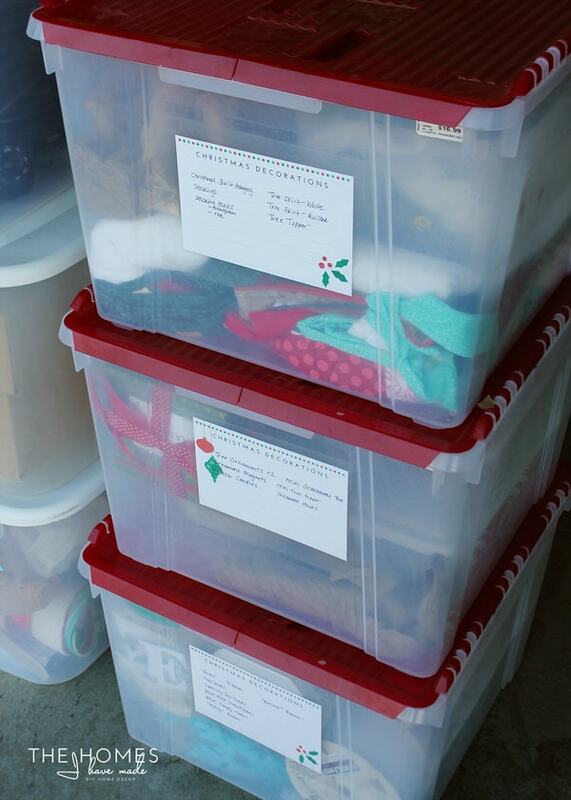 The third box is mostly holiday craft supplies (ribbon, bows, etc). I have one more larger tupperware filled with some of our bulkier decorations. I personally like to have everything contained in a bin (of course), so typically…if it can’t fit into a tupperware, I don’t buy it! 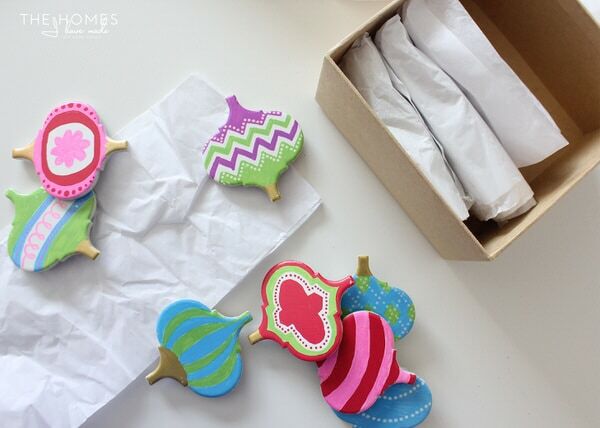 Years ago, I struggled with how best to package up these kinds of decorations so they stay both safe and clean. For the past few years, I’ve been using this quick and easy trick…and it’s working SO well! 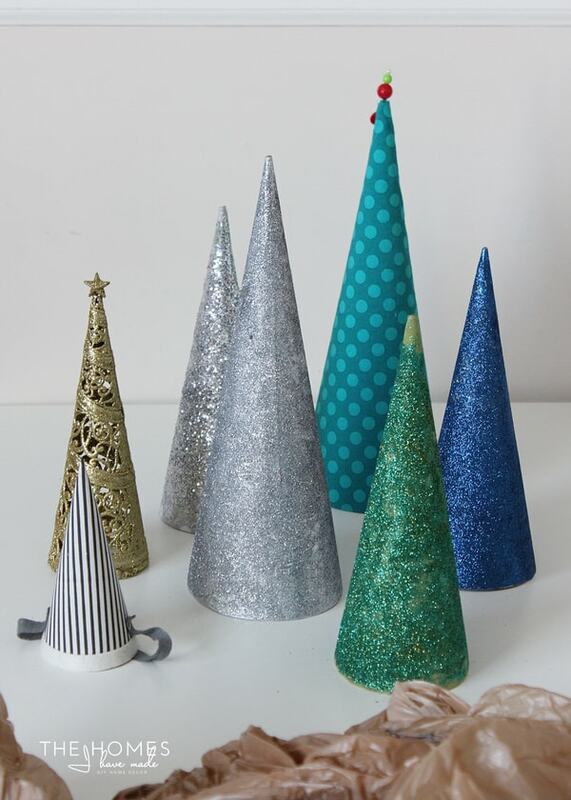 For items like these cones (as well as other decorative and glittery figures and figurines) I wrap them in plain ol’ grocery bags. 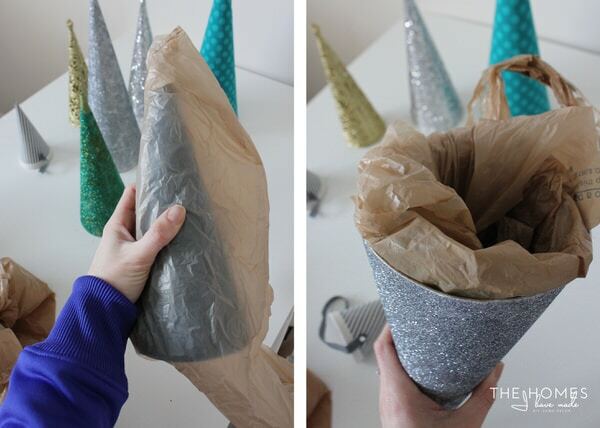 (I’ve tried tissue paper but it’s never quite big enough.) Instead, I wrap the item in as many plastic bags as I need. This contains glitter and protects the items from rubbing. I try to stack items and pack things tightly to prevent fragile items from breaking since these bags don’t offer much cushion. 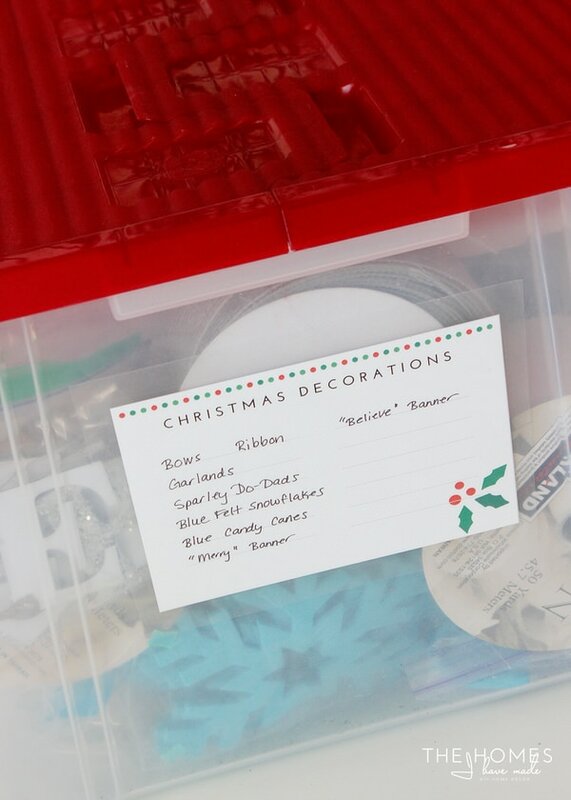 This one last bin is filled with all sorts of random (larger) decorations, so these lined labels really came in handy again. I tried to be as descriptive as possible so I can quickly and easily tell what’s where come next year! Here’s a few more of our holiday bins filled and labeled. 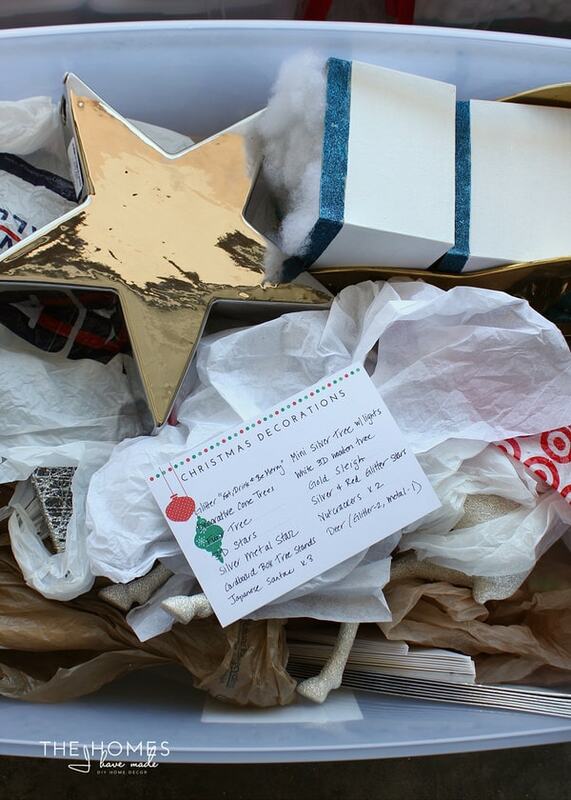 The bottom bin is the one I showed you above…the next big bin is dedicated to our Nativity scene. The top box is all my glittered pinecones, and the top tupperware is all of our extension cords, spotlights and extra plugs (all light-related things). 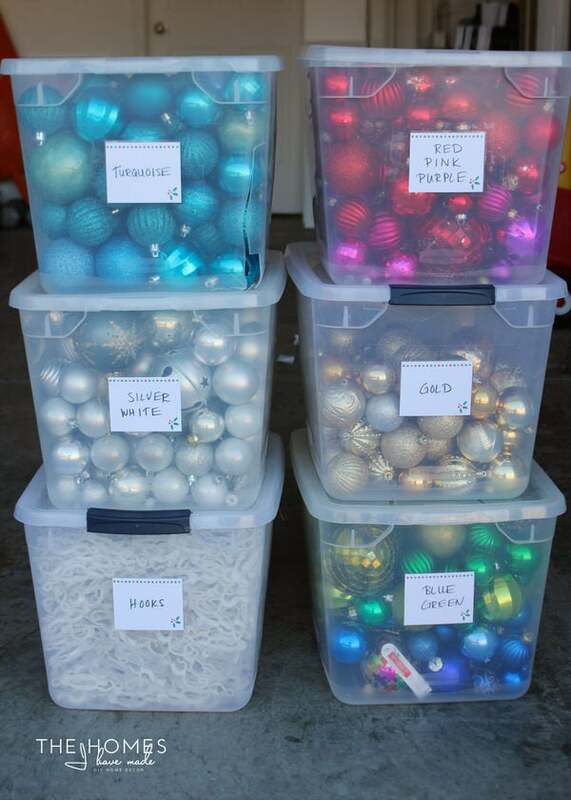 We do have one more large bin (not shown) that contains all of our strands of lights for both indoors and out. We finally invested in some plastic spools to keep the lights untangled and they have been worth every penny! Last but not least, let’s talk a bit more about colored ornaments. I feel like I have tried everything for storing these in a logical and safe way…and here is where I’ve ended up. Honestly, for me and the way I decorate, this is perfect! I often use specific colored ornaments in different areas of the house and in various arrangements. I like being able to access all my red ornaments, for example, at once if and when I need to. 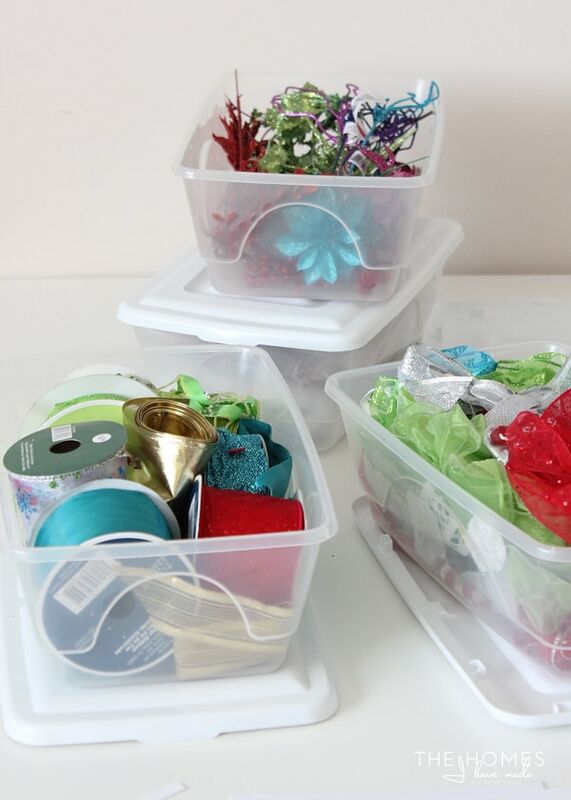 Small tupperware bins have worked really great for keeping our ornaments sorted without creating too much extra bulk. 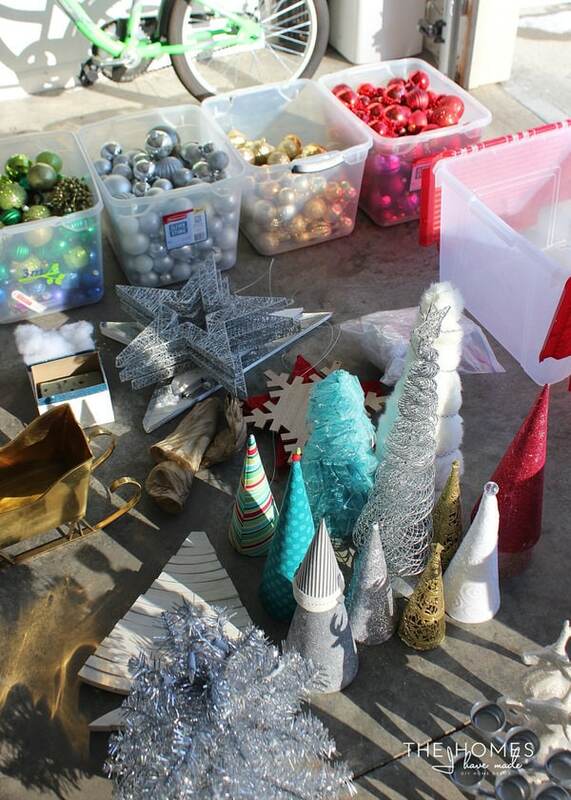 Now when I am setting up our house (or a photo shoot), pulling out just the right ornaments is quite easy! And they sure look pretty, don’t they? Now…I will caveat this storage solution with two warnings. 1) If you move a lot then you probably already know this but these little bins don’t survive well (as evidenced by the turquoise bin). Make sure they are either loaded into bigger bins/boxes or wrapped in the padded brown paper so they don’t crack or warp. 2) This solution is NOT ideal for glass ornaments. We have slowly but surely transitioned most of our ornaments to the non-breakable kind, so lumping them all together has been no issue. However, I noticed the few glass ornaments we still had did shatter during this most recent move when they were transported just like this. Phew! 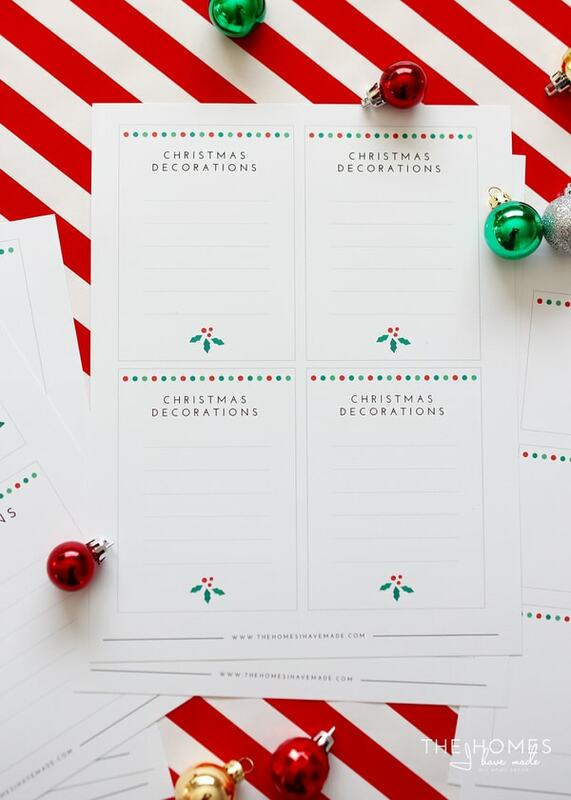 SO fun to have the holiday decor organized, don’t you think? I have been wanting to do this for YEARS and it feels so good to have it all purged, sorted and LABELED! It took a few hours on a cold day in the garage, but it was so worth the time and cold fingers. 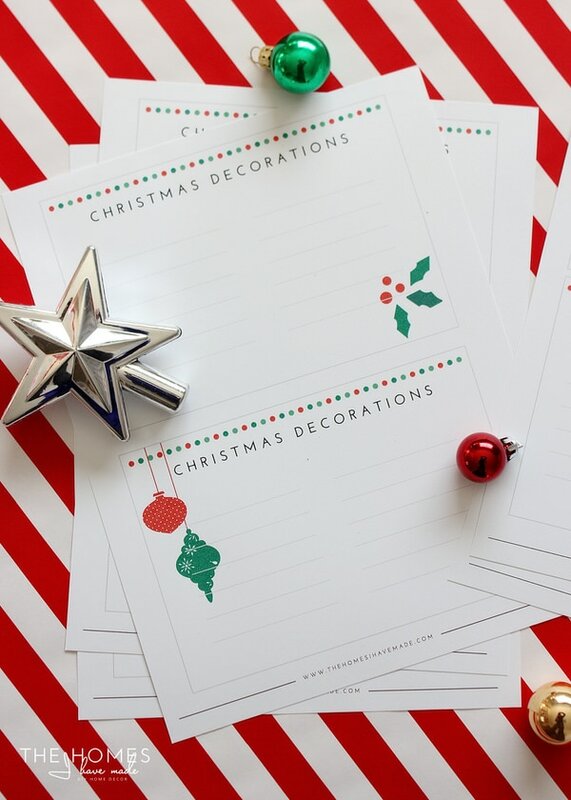 I think pulling out our decor next year will go so much better…at least I hope! 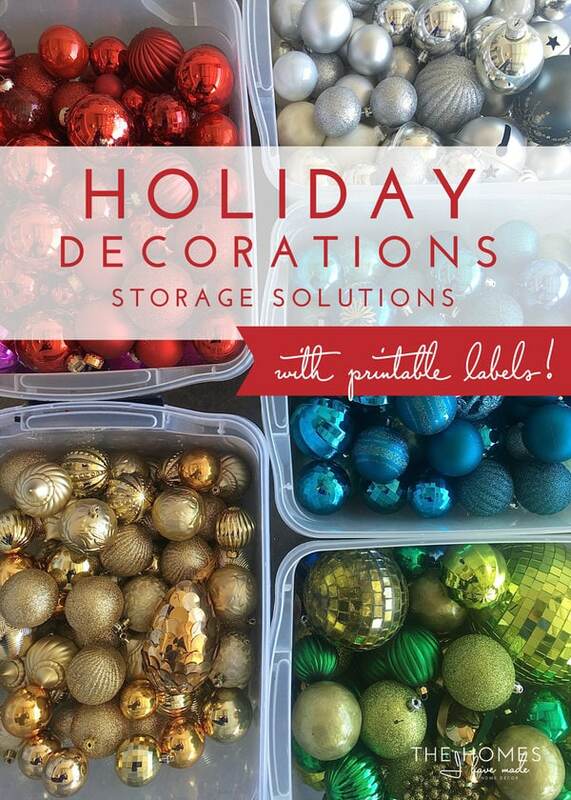 Do you have any storage solutions for your holiday decor that work really well? Please share in the comments below! 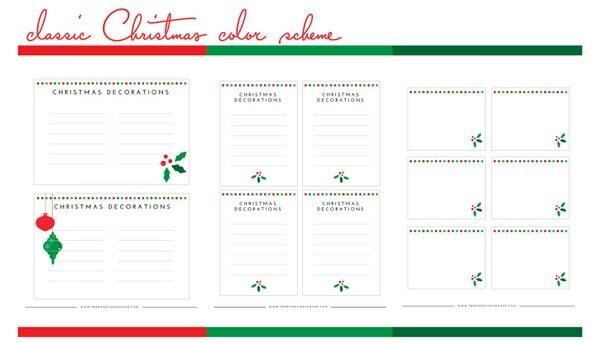 This Holiday Decor Labels Kit has been uploaded to The Organization Toolbox and is available for download right now! I hope your first week of the New Year is off to a great start! 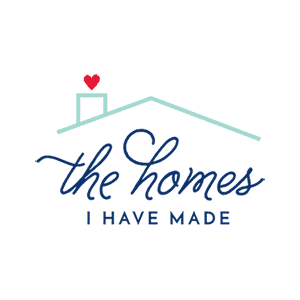 I’ll be back here Thursday with our 6-months in home tour. 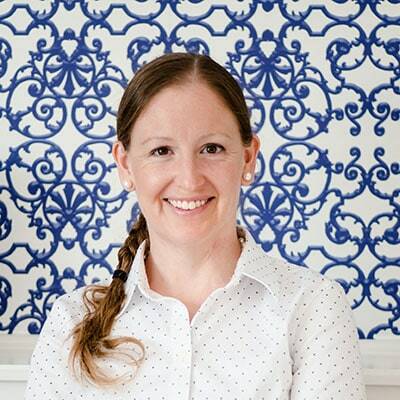 I’m a bit late, but want to catch you all up on the progress made in our first 6 months here! See you then!